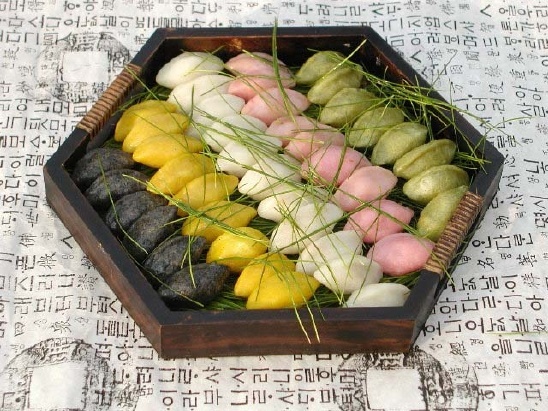 Rice cake (떡), of which there is a variety, isn’t always to the westerners liking probably because it has what might be deemed a strange, elastic and chewy consistency. On my first encounter with rice cake I put the box aside but being a natural glutton I returned to it a little later and was subsequently hooked by the third of fourth piece. 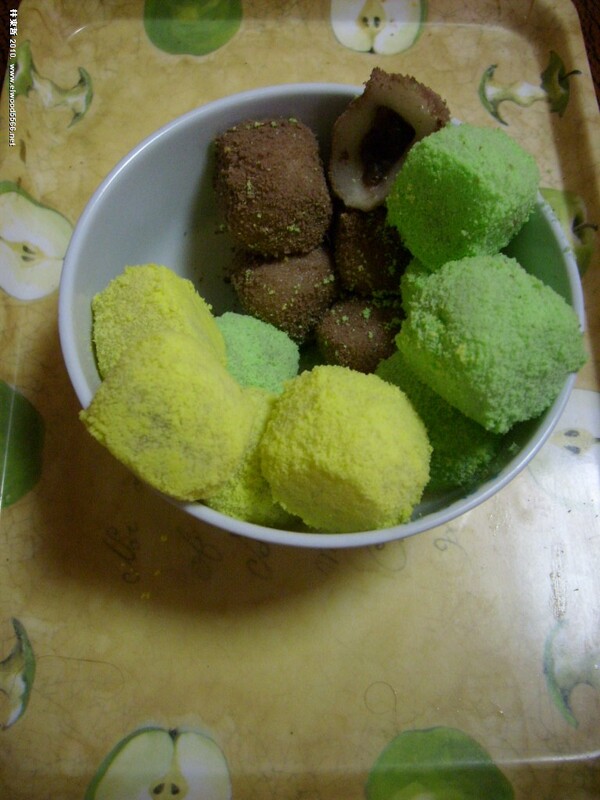 Kyeong-dan are covered in either yellow, brown or green powder though it doesn’t seem to alter the flavour. 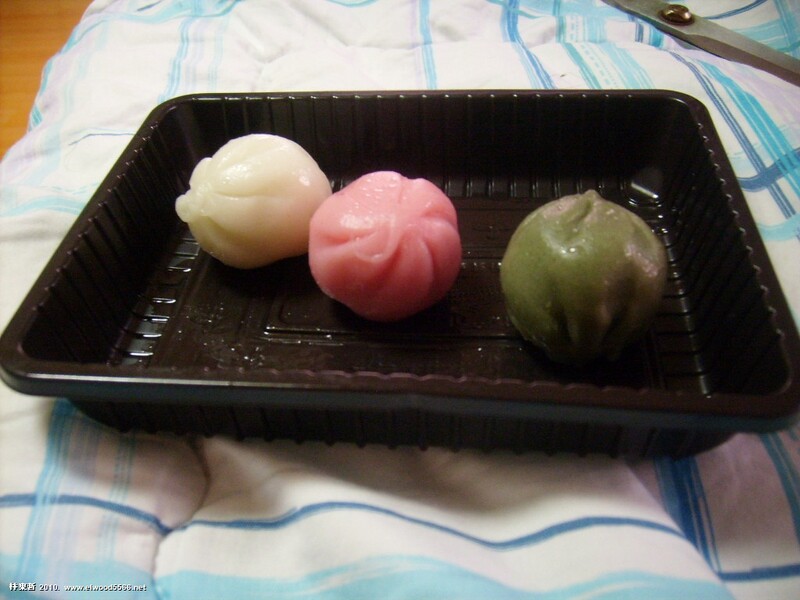 Inside they are filled with bean paste. I remember the first time I saw kyeong-dan, on the reception counter in my first school, I thought they were covered in chocolate flakes and was quite disappointed when I then discovered it was ground bean. Ch’ap ssal ddoek is very often coated in icing sugar but it can also be found coated in various other coloured powders. 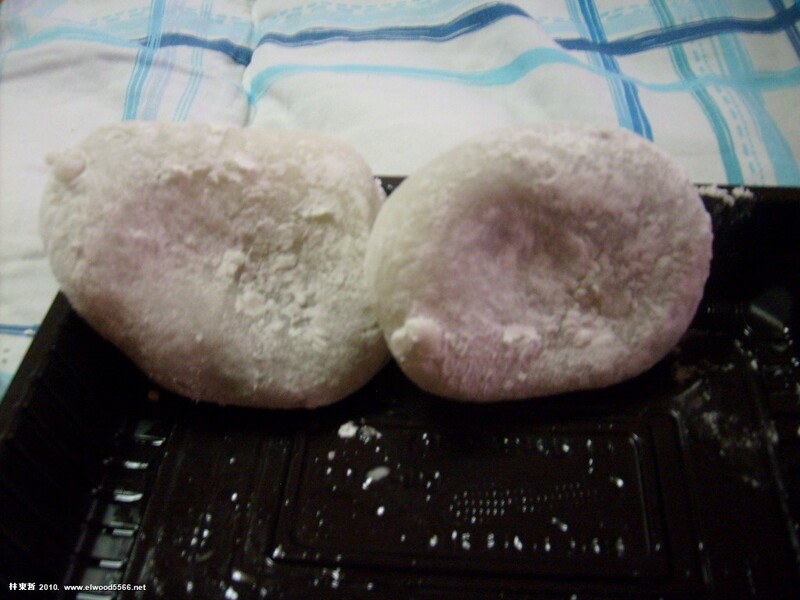 Soft and somewhat floppy, this rice cake is much less chewy than other types and is also stuffed with a bean paste. 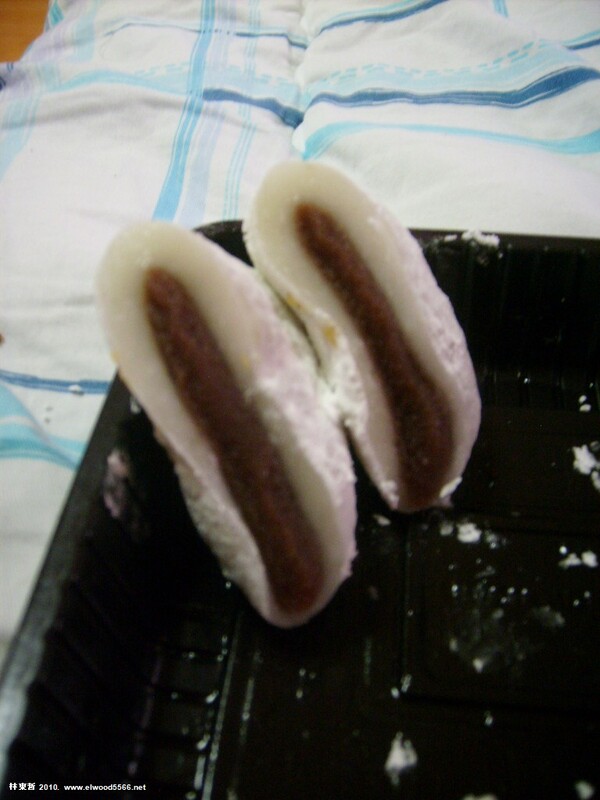 Song-byeon is very popular during important festivals such as Lunar New Year and Chu’sok (autumn festival). The usual colours are pink, white and green, the green obtained from mugwort (쑥) but other colours are available but once again don’t really alter the flavour. Sometimes the white ones are almost translucent. The most common sweet, soft centers for song-byeon are based on sesame seed oil or crushed sesame seeds. The combination of chewy rice cake and then the delicious, sweet and juicy center, make them an ideal festive treat.